Boostable helps sellers handle online marketing to boost their sales. Sending traffic to your product used to be hard. Ridiculously, unnecessarily hard. 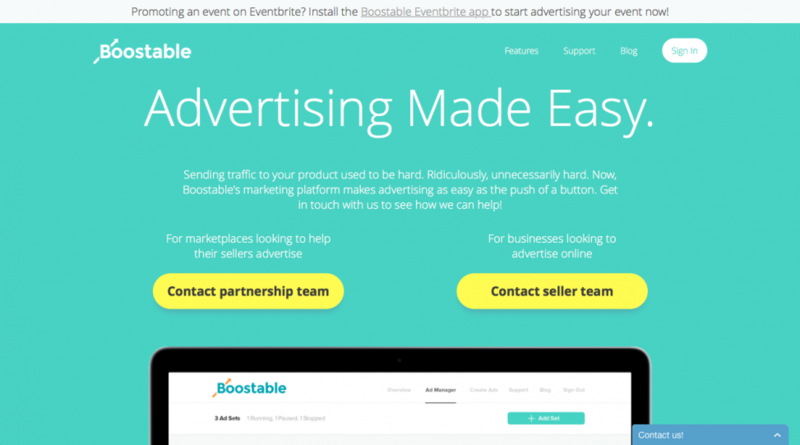 Now, Boostable’s marketing platform makes advertising as easy as the push of a button. Get in touch with us to see how we can help!